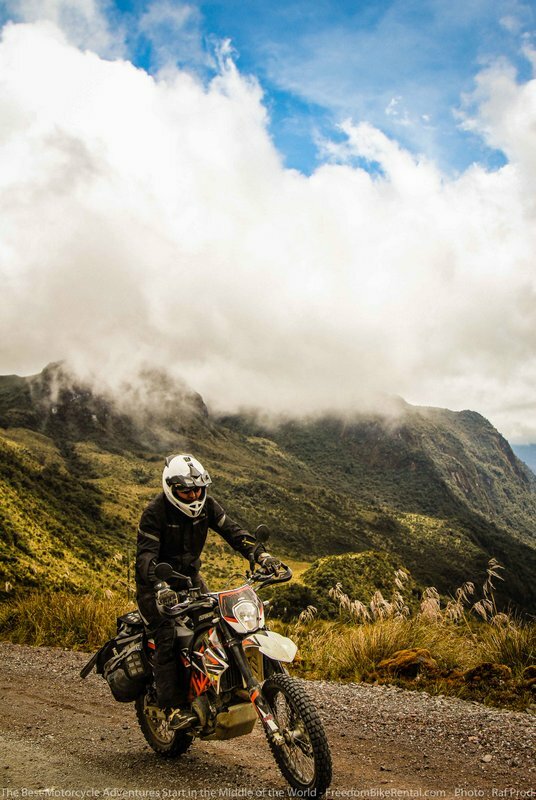 QUITO, Ecuador - Dec. 12, 2016 - PRLog -- Building on over seven years of experience in organizing premium motorcycle tours, Ecuador Freedom Bike Rental announced their latest self-guided, off-road excursion called Dirt Deluxe. 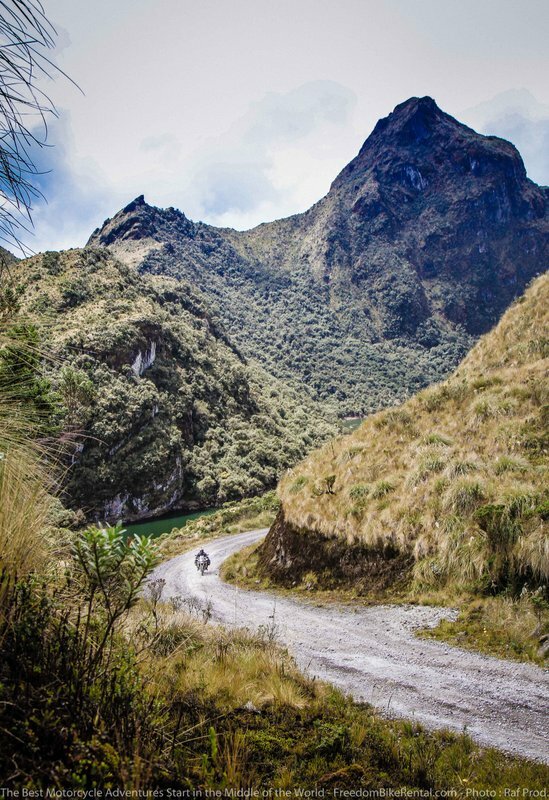 The new tour combines exclusive, award-winning luxury accommodations with a tantalizing unpaved route that takes riders into the more remote and obscure areas of Ecuador, giving a glimpse into ways of life that have largely disappeared. The 6-day tour crisscrosses the northern Ecuadorian Andes, a part of the country that still feels enigmatic, subtly inaccessible and not saturated with tourists. It's an area known for its pristine wildlife refuges, coffee plantations, timeworn colonial buildings and therapeutic hot springs. The recent political settlement in neighboring Colombia allows visitors to safely travel through this exotic region. 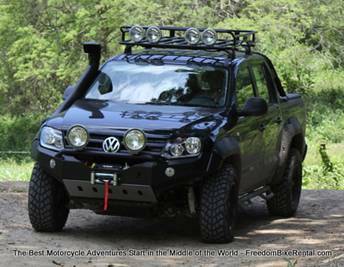 Now, the company's off-road capable, adventure-ready motorcycles are the best way to dig deeper into this special region of the country. Customers are provided a pre-programmed Garmin ZUMO GPS unit and a "road book" containing detailed daily routes with genuine points of interest and culinary experiences that are not to be missed along the way. Part of the route – through the Coca-Cayambe Wildlife Reserve - is so pristine and well-protected that it is off limits to motorized traffic, unless you have a special permit, which the company arranges in advance. "We believe there is a market out there for people who like traveling on rough dirt roads yet want to enjoy premium lodging after a hard day's ride." explained Court Rand, Co-Founder of the Quito-based motorcycle tour operator. "Years of riding these roads has made us intimate with them. Every ride leads us to something new: a glacial lake we never visited before, a traditional artisan we've never met or a sparkling waterfall we've never swam in. We're in this business because it moves us and we're eager to share our experience with other riders." Consistent with the route - which traverses several climatic zones, cultures and altitudes – the included luxury hotel accommodations are rich in diversity. The hospitality of each venue has its own unique regional character that is evident in every gesture. The Septimo Paraiso Cloudforest Lodge offers customers a special Pisco Sour cocktail made with homegrown passionfruit. Set in a desert landscape, the Tunas y Cabras Lodge prepares a succulent marmalade from the prickly pear fruit that is cultivated from cactus grown on their farm. The Hacienda Primavera Wilderness Lodge serves a mythical cup of coffee from their plantation. Located in the historic capital city of Quito, Ecuador Freedom Bike Rental is the country's first motorcycle tour operator founded in 2009. Working with local, professional guides they design and outfit tours for adventure enthusiasts who wish to explore Ecuador on two wheels. They are open 7 days a week and provide full-service rentals of mountain bikes, motor scooters, and motorcycles at reasonable daily and weekly rates.